Former State Rep Mike "Tuffy" Hamilton Backdoor Deal with Hardin County Judge? Multiple independent sources have informed me that Bobby Franklin, the Precinct 4 Hardin County Commissioner serving over Lumberton, TX, is planning to step down soon so that former State Representative Mike "Tuffy" Hamilton can be given the job. The Commissioner’s position will give Hamilton a political platform and a guaranteed source of income to set Hamilton up to run (again) against James White for State Rep in two years. The Hardin County Judge, Billy Caraway, is the person who would appoint someone to a vacant County Commissioner's seat. Billy Caraway and Mike Hamilton just so happen to be best buddies. Mike Hamilton (a former Committee Chairman for RINO Joe Straus) recently lost his State Representative re-election after Hamilton moved to Hardin County earlier this year to run against Super Conservative, Black Republican State Rep. James White as part of a plan to hurt Republicans in redistricting who voted against Straus for Speaker. Hardin County is the most one of the most populated counties (most Republicans for sure) in House District 19 and Hamilton is very good friends with many of the leaders in Hardin County. Hamilton assumed that the support from Hardin County Politicians would help him win Hardin County with enough votes to win the State Rep. election even if he did not win any of the other less populated counties in the district. Hamilton was wrong about the support he had and he lost the election to the Conservative Tea Party favorite James White. Hamilton's campaign had been plagued with information coming out about some of Hamilton's not so conservative votes (like voting with Trial Lawyers and trying to bring Casino Gambling to Texas for Chairman Straus), and also information about Mike Hamilton's ethic's problems (like alleged sexual harassment, ethics violation fines and tax liens. During the election, James White was endorsed by all top conservatives and conservative organizations, but most of the elected officials in Hardin County put politics over principle and got together to hold a press conference where they endorsed Hamilton. They wanted him to beat James White and they were not happy when Hamilton lost. I am certainly not speaking about all county leaders in Hardin County because some of them are good people who are not involved in this, but it appears that at least some of the leaders in Hardin County are desiring to get around a vote of the people that is normally required for elected positions and reward their friend Mike Hamilton with an extra income and good political position as an appointed County Commissioner. It was not even a year ago that Mike Hamilton did not even live in Lumberton or Hardin County and yet he is to be given the position of a Hardin County Commissioner? He probably isn’t even eligible yet to even run for Hardin County Commissioner because of the time living in Lumberton that is required to run. How about an actual resident of Hardin County and Lumberton who is deserving of the temporary position getting picked to fill in until a special election? (And no I am not talking about me) Or how about Bobby Franklin finishing out his 4 year term? He just ran 2 years ago for re-election and told the people that he could and wanted to do another 4 year term, and it would be a disservice to the political process if he stepped down before the next election just so someone else could be put in without having to get elected. He could at least have the decency to step down now so that there is enough time for a special election this November instead of waiting to step down when it is too late to have a special election. What happens in East Texas when one of the people of the group in power is getting too old to keep doing the job but they don't want an open election because the group that has been in power for decades wants to keep the power? They get him/her to retire before the term is up so that there is not an election and instead one of their buddies gets appointed who then has the advantage in the upcoming election to fill the seat. Don’t get me wrong, sometimes appointing someone to fill a vacancy is necessary, cannot be avoided, or is not done as a dirty backdoor deal. This situation is not one of those exemptions. In this case, an early retirement serves two purposes. It keeps control of the power within their group of friends, and it also rewards their friend who they want to prop up until he can run for State Rep. again (or maybe it is possible that Hamilton wants to just try to stay Commissioner). I sure do hope that Bobby Franklin and Hardin County do the right thing. This good old boy, East Texas, backdoor political network has to be broken. Hopefully people will continue to open their eyes in Hardin County and East Texas. REALLY. THEY SHOULD LEARN THEY CANT MAKE PROMISES. ONCE THEY GET TO AUSTIN OR WASHINGTON ITS A DIFFERENT BALL GAME THAN IN THE CAMPAIGN PART. For anyone who believes all that is printed in this blog, I want to state a few facts since I am mentioned here… I was approached well over a year ago about running for Commissioner, Pct. 4, upon Bobby Franklin's retirement. I discussed this with my family and a few close friends, and I also had a few discussions with Commissioner Franklin. 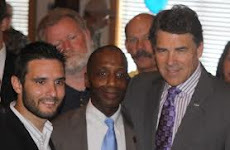 The next thing I know, rumors spread that I was going to run against Bobby Franklin for Commissioner; that Bobby was going to retire early and Commissioners Court was going to appoint me, etc., none of which were true. Many people expressed their confidence in my ability to do a good job as Commissioner, and I was very honored. However, after much consideration, I decided that I would not seek election or appointment to be the next Commissioner for Pct. 4. I informed Commissioner Franklin as well as several others of my decision at that time. So, until today, the rumors about my running for Commissioner and/or seeking an appointment to the position if the seat were vacated have been dead for quite some time. As anyone truly close to Hardin County politics is aware, I have my mind set to run for the Office of Sheriff when Sheriff Cain retires. I did not think it would be fair to Commissioners Court, the voters, nor my family for me to run for one office, then (and hopefully I would be successful), turn around and run for another office a few years down the road. Additionally, I decided not to run for re-election for Constable this year. Greg Smith ran for the Office, unopposed, and upon my resignation on June 25th, he was appointed as the new Constable for Pct. 5 by Commissioners Court (not the County Judge). Wayne, it does not appear that this article was about you. This article seems to be about Mike Hamilton. I have heard the rumor about Mike Hamilton too so it is a valid idea that has been going around. You seem to only be mentioned at the end of this article as an idea that has been kicked around if Hamilton is not appointed. You yourself has even said it was something that was going around the courthouse. I hear the sheriff might soon be trying to run for judge if caraway does not run again. That would open it up for you to run for sheriff if that is what you want to do. Wayne McDaniel you are not being honest! you retiring before an election and appointing someone to be constable before the election is what set Greg up to run for constable. That is how it works around here. Someone retires and appoints someone else to fill in so that the person appointed will likely win the upcoming election as the incumbent. I do not believe you or Greg are bad guys. It is wrong that you stepped down before your term was up to appoint someone who is your friend and who you wanted to set up to win. Now I see that you got appointed to be in the sheriff's department. This of course will set you up to fun for sheriff. Was there even a hiring process where other people could apply for the position you were given? Sounds rigged to me. After Greg decided to run for Constable last December and had filed to run for the position, I asked him to be my Deputy Constable, which requires Commissioners Court approval. He wanted to gain experience in Civil Process before becoming Constable, and I wanted that for him as well. He ran unopposed for the Republican nomination and became the nominee on May 29th during the Primary. Afterwards, a position came available at the Sheriff's Office. Once the position was posted, I applied for it. I was hired, then I stepped down as Constable in order to devote my full time to my new position, rather than trying to do both jobs. I did not have time to do both and it would not have been fair to anyone, especially myself and my family, to attempt to continue to hold both positions. Howdy Wayne, thanks for wanting to clarify things. I do not really know you and have not had any issues with you so this article was not trying to make you look bad or anything. I just write about what is or has gone around through the courthouse about Bobby possibly retiring and someone getting appointed. I threw you in at the bottom of the article about Hamilton because you had at one time been talked about. Looking at Greg's background he sure seems to have some good qualifications which is good. I look forward to meeting him now that he is the new constable over here. Wayne McDaniel and the Hardin County Commissioners Illegally appointed a deputy constable. Texas Law says that a deputy constable may only be appointed if it can be shown that the deputy is needed in order for the constable to complete the tasks assigned to the constable's office. You cannot appoint one to get paid tax dollars just to give him experience and set him up to run for constable as McDaniel has stated as the reason for appointing a Deputy. Greg did not receive any payment as a Deputy Constable and he did help me with Civil Process after receiving training to do so. This was a great help to me as I had taken on other tasks for the County (at no additional pay I might add) and it also prepared Greg to do his job so he would not be trying to learn while also having to handle the work load. I can assure you there was nothing illegal about Greg serving as Deputy Constable. Well I'm sure David was not trying to be rude. Unlike Mike who drives around calling people faggots. It's pretty sad that is our representative, is that what America is now? Unprofessional perverts like Hamilton?